I’ve based this recipe on a paleo bar that I picked up at a supermarket checkout a few weeks back. The price tag alone made me decide to make my own version and these are the result. They should keep for a good week or so in the fridge but I bet they won’t last that long. 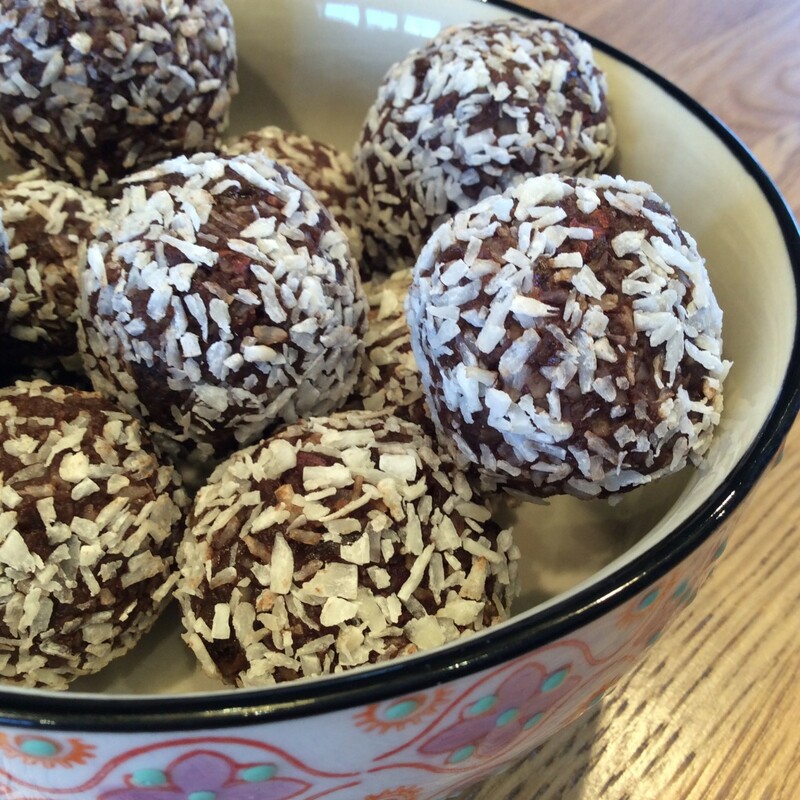 They could be rolled in chopped nuts as an alternative to the coconut, or even a little cocoa if you prefer them slightly sweeter. Drain the cashew nuts and reserve the liquid. Place the cashews, dates (drained), raw cacao powder and orange essence in a processor and pulse until blended. Check the texture and if too dry add a drop of the cashew water. Turn the mixture into a bowl and add the cacao nibs and raisins. Mid well until thoroughly combined. Using a tablespoon measuring scoop for size, roll gently into balls and coat in dessicated coconut. Place on a plate and chill until firm.